Hi, reader! You’re here because you’re interested in mobile marketing and mobile search capabilities and/or the happenings of SMX East 2013. Thanks for joining us for Bruce Clay, Inc.’s liveblog coverage of the conference. We’re in the first session of the first day of the conference, and while Chelsea covers the new era of link building, you’ll learn about trends in mobile search right here. The conference agenda says we should expect discussion of mobile usage statistics, growth trend predictions, mobile optimization, voice search, Google’s Enhanced Campaigns and responsive design. Andy Miller, mobile search, sales and strategy at Google, starts us off. He shows a photo of his 2 sons when they were visiting Hawaii. His phone was his best friend during that trip, and along with taking photos, he researched places to go, car to rent, and activities. And while he did all the research with his phone, he rarely sealed the deal or made the purchase on the phone. That was done in the store or he moved over to his laptop. Many searches come from our mobile phones during travel planning. 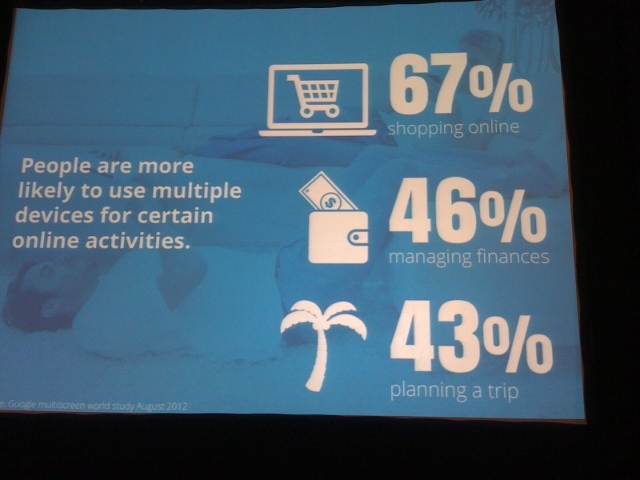 People use mobile devices to manage finances. Very commercial queries like “NY flight” and “NY hotel” and “credit cards” and “insurance”. “Beyonce” during the Super Bowl, “Ravens and Broncos,” “Arrested Development new season” show that the entertainment vertical has a large portion of searches coming from mobile. Growth of mobile share for searches in these 3 verticals are seeing 90% to triple digit growth year-over-year. The difficulty is measuring how people move between devices. But that’s not the only challenge. 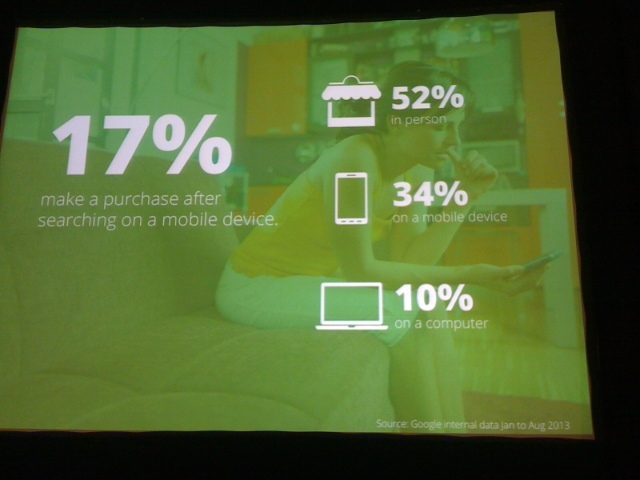 Mobile is spurring new types of conversions. Click-to-call, in-store, from app purchases are new areas where marketers have to track the user’s movement. 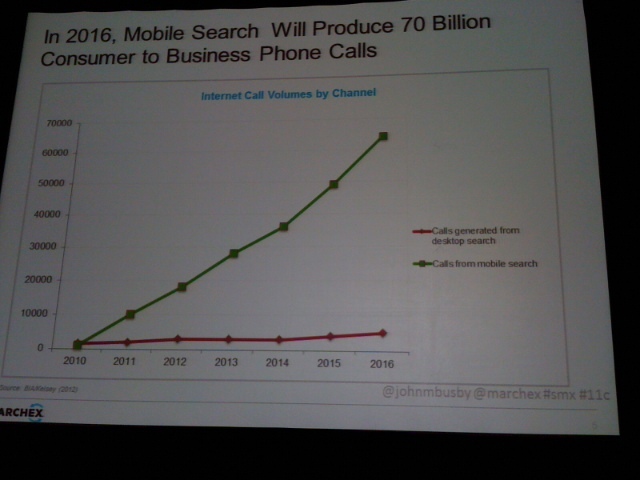 70% of mobile searchers have used click-to-call to connect with a business from a search on a mobile device. Less than an hour ago Google posted to the AdWords blog about “Estimated Total Conversions” (ETC) – a new product. Cross device, store visits and calls are the 3 transactions that Google touches on in this introduction, and the first they’re launching is the cross-device conversion. A transaction that starts on a mobile device and ends in the store is an example. Increase in conversions measured when using ETC: 9% up in travel, 7% up in retail and 12% up in entertainment. He says it will take 4-6 weeks to roll out to everyone. In the AdWords front end there are 2 new columns: “Est. cross-device conv.” and “Est. total conv.” iCrossing saw a 97% increase in mobile-initiated conversions measured when they were a beta client for this new tool. In the coming months, they’ve got the next beta, and they’re working to maintain privacy of users and also measure these transactions and behaviors. Coming soon, probably early 2014: store visits and calls as conversions. Jim Yu is going to talk about what he’s been seeing in the industry of measurement. Mobile adoption has grown, and by the end of the year there will be more mobile devices on Earth than there are people. The massive shift happening across search and social is driving opportunity for marketers. If you look at smartphone traffic vs. desktop traffic, there’s a 10x difference in the rate of growth. Software and technology, followed by financial services, followed by real estate are the top industries being affected by this growth. Note that the conversion rate of smartphone vs. desktop is .3x vs. 1x. The challenge for marketers, then, is understanding how conversions work. Q: How can you capitalize on the mobile search opportunity? Follow best practices on responsive design or dynamically served HTML. Flat, clean and simple design leads to greater engagement and more time on site. Look at the bounce rate by device and you can pinpoint which pages aren’t working on mobile and so focus your next steps for a quick win. 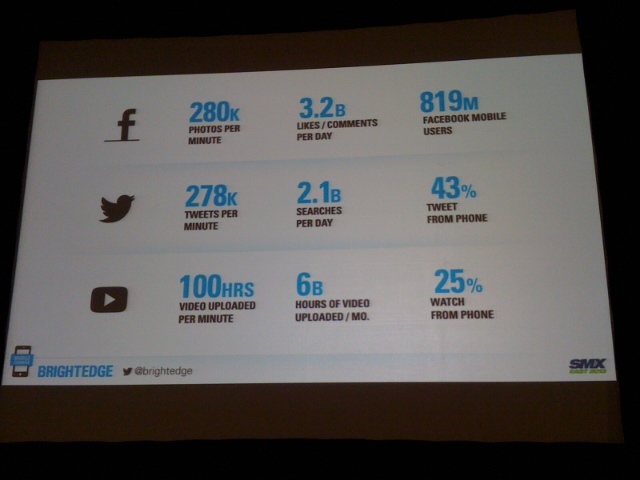 Optimizing for mobile means producing content for mobile. Mobile content is social content. Integrate search, social and mobile campaigns. Understand blended rank and mobile rank. Analyze the local and mobile relationship. Measure mobile and local landing pages. Build a solid mobile campaign dashboard. Measure true rank in mobile across devices. Understand mobile Share of Voice. Be inclusive of Universal Results. Pay attention to local queries. Audit mobile performance regularly. John Busby of Marchex, a mobile technology company focused on phone calls, is next. There are more than 300 Starbucks in the NYC limits. Stat this: There are 149K workers at Starbucks around the world. There are 3 million workers at call centers in the U.S.
Online-to-offline transactions is the most common transaction type according to Forrester Research (compared to pure offline and pure online). 1. Why do consumers call travel companies? Understand if you need to take calls based on the service your business provides. 3. There are 4 types of calls from search ads: sales calls (26%), robocalls and spam (2%), misdials (30%), customer service (42%). 4. Measuring the 4 types of calls from search. He recommends measuring the four types of calls from search with call tracking numbers. 5. Enhanced campaigns: What you need to know about balancing mobile and desktop. The challenge is that Google decides the budget allocation across mobile and desktop. Advertisers will need to locate the trigger points for budget allocation if device targeting is a strong requirement for success. 6. How to measure phone calls in advanced ways. How many times did the phone ring? How long does the agent speak, does the caller speak, hold times? This can give good info to help understand performance by channel and conversion data. Genders can convert at very different rates. And conversations show the features that drive purchases, which can inform your creative. Brent Buntin from Inadco is next. 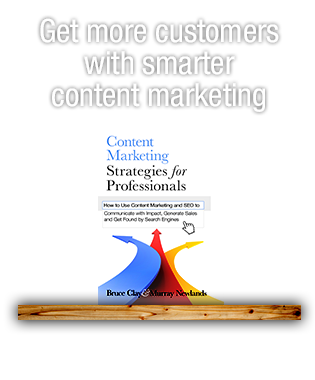 His company optimizes the conversion funnel starting from an ad. 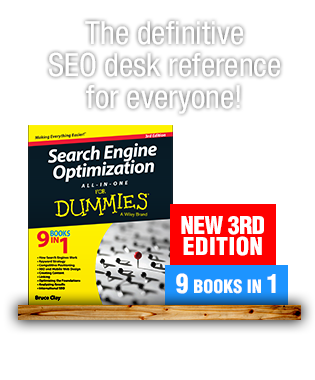 It can take a user 6 steps from a desktop search (or display ad or social ad) to convert. This doesn’t work for mobile because it’s hard to consume that much content. Link out experience is not great. 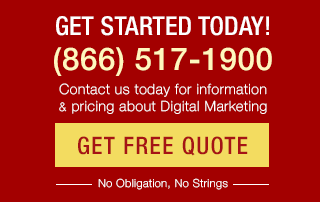 Adobe said that 55% of marketers have mobile optimized landing pages. Only 6% of top 100 Fortune 500 companies comply with Google’s mobile requirements. This impacts the conversion rate. Comes down to speed, space and usability. Fast load time (25 KB or less). CTA must be clear and above the fold. Make clickable links touch friendly. A Twitter Card is a usable experience, a quick handover of important info, that Twitter likes because it keeps the user in the experience. 1. Marketers must define their mobile goals and objectives and turn them into specific tasks for the user. 2. If you can’t build a mobile-optimized landing page, then partner with someone who can do it for you. 3. Make sure you’re creating value for the end user and the investment will pay off.